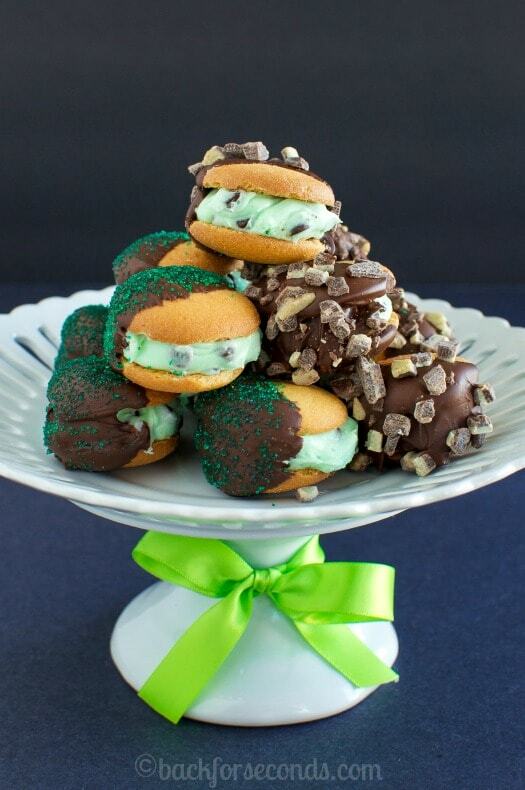 These No Bake Mint Chip Sandwich Cookies are so incredibly delicious, you would never guess how easy they are to make! 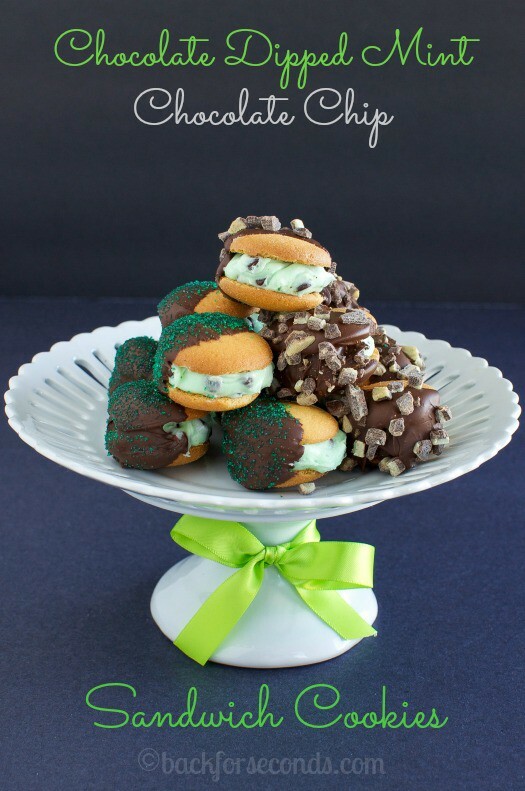 Great idea for a St Patty’s Day treat! Ok, so I’m not Irish and I don’t really celebrate St Patrick’s Day. However, I do enjoy making fun things for my kids on holidays – and they love it too! Even my husband and I couldn’t stay out of these! They are so simple, yet completely irresistible. 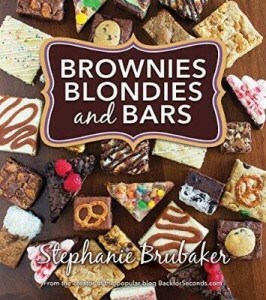 Anytime I come up with a new no-bake recipe, I get pretty excited. This is the kind of thing my kids can help with and get excited about being in the kitchen. I love when they help me – it’s always a huge mess, but it’s a lot of fun, and we are making memories we will never forget! All of my kids love to help in the kitchen, but most of them primarily just like to taste test… One of my twins (3) is my biggest kitchen helper. He LOVES “making” with me and he is surprisingly precise and careful about measuring and stirring. 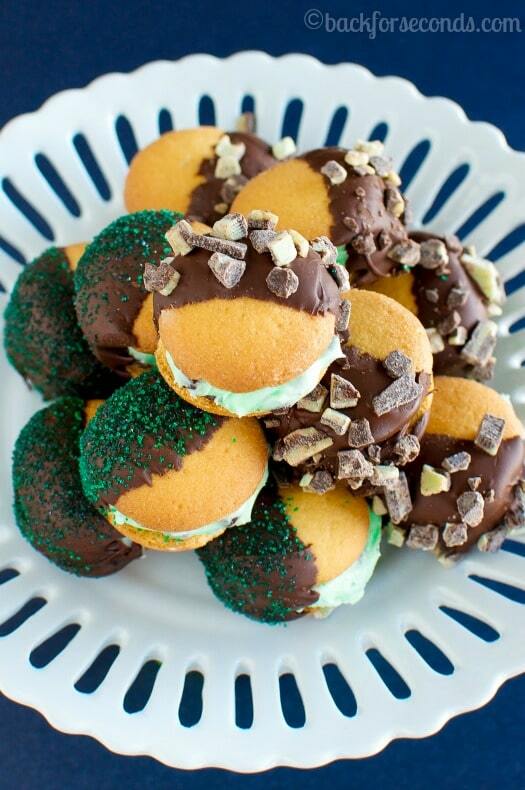 The mint + chocolate combination is one of our favorites no matter what the time of year. But these sure would be cute for St Patrick’s Day! Enjoy! 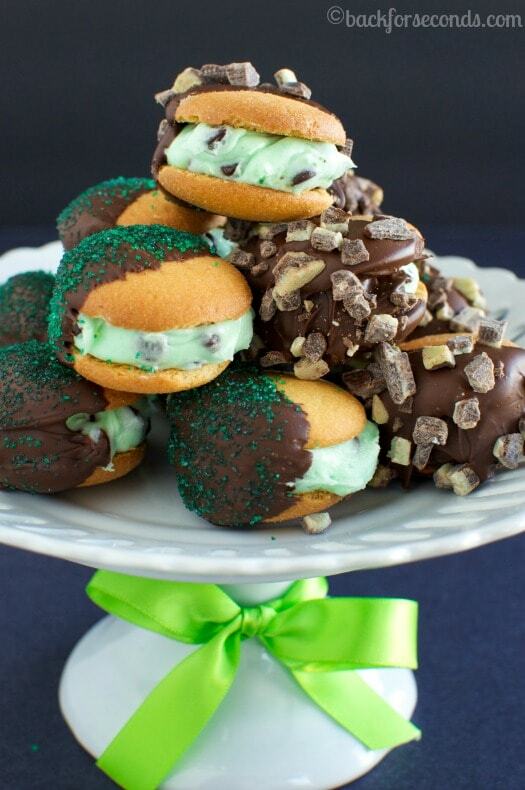 This is perfect for a quick, fun cookie! Pretty sure I could hand this one over to the kids. They’ve been begging to get in the kitchen lately. These are so cute and I love how easy they are! 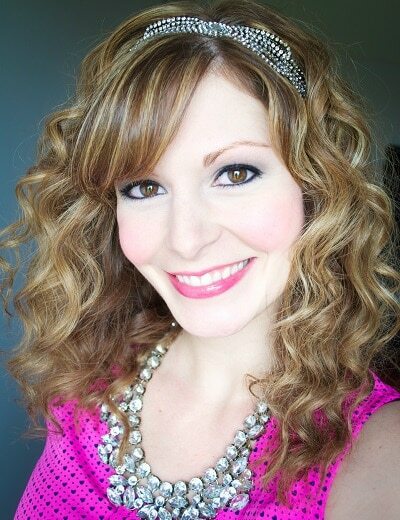 These look fabulous and I love how easy they are to make! What a great St. Patrick’s Day treat! Love that these are no-bake cookies. They’d be just perfect for the kids to help make in the kitchen. These are so cute!! I love the ones with the sprinkles. These are so pretty and I love the fact that they are no bake! My boys love recipes that they can make with little supervision from me. Adorable cookies, Stephanie! These are so super cute. I can see kids and adults loving these. I am all about no bake so these are perfect.